1. Green space where art thou? 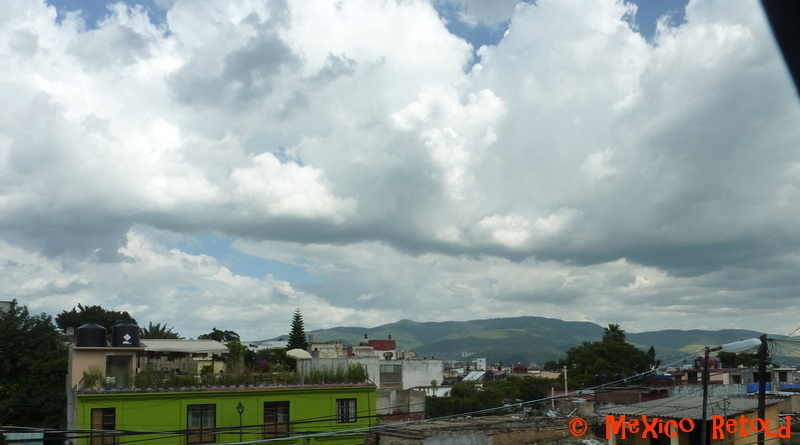 Oaxaca being a city that grew up pretty quickly doesn’t really have any green space. It seems that in the quest to develop quickly, they paved paradise. Don’t get me wrong, Oaxaca is stunningly beautiful but every now and then I wish I could walk out of my door into somewhere green that wasn’t like a little square roundabout surrounded by traffic. 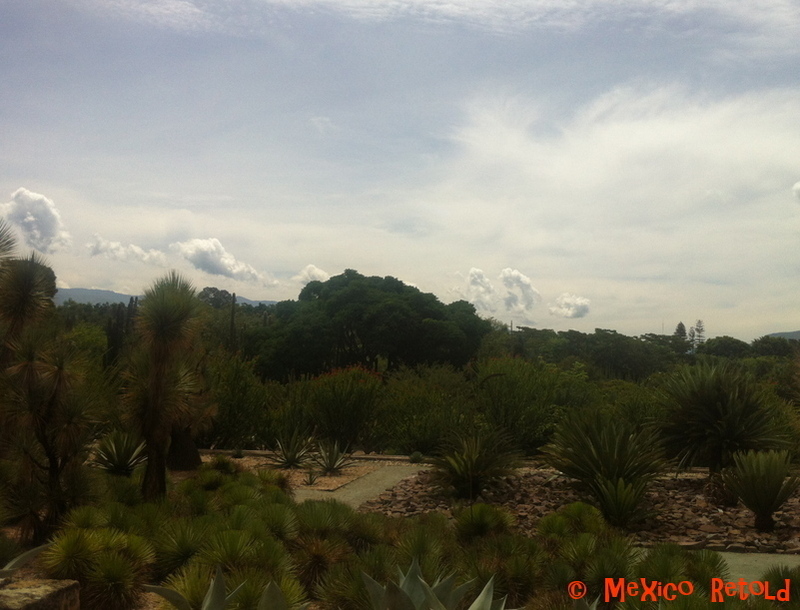 We do have the beautiful Botanical Gardens though, although sadly you can’t just go in for a wander. When I can’t get lost in green I get lost in white and blue. 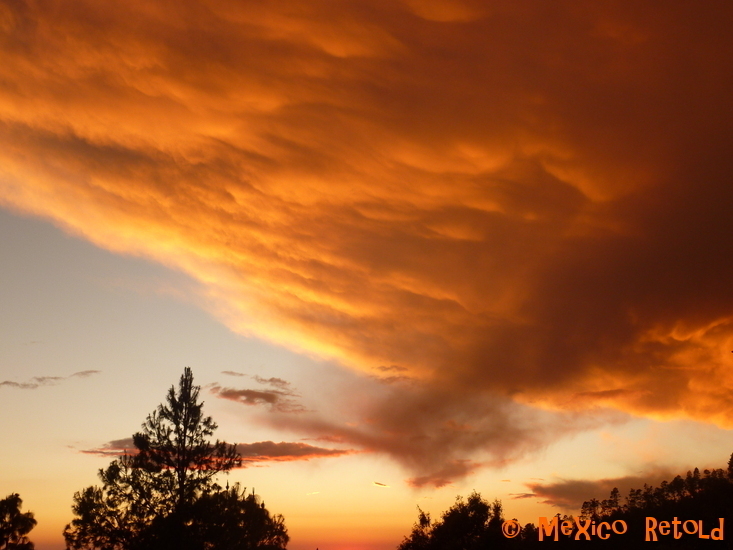 Oaxaca could very possibly have one of the most beautiful, magical skies in the world. In London they say you see the best of it if you look up at the architecture, in Oaxaca I say look up at the sky, it will literally blow your mind. Sometimes the clouds are big and fluffy, sometimes they ripple the sky and at other times they allow incredible strips of pink to crisscross the blue. 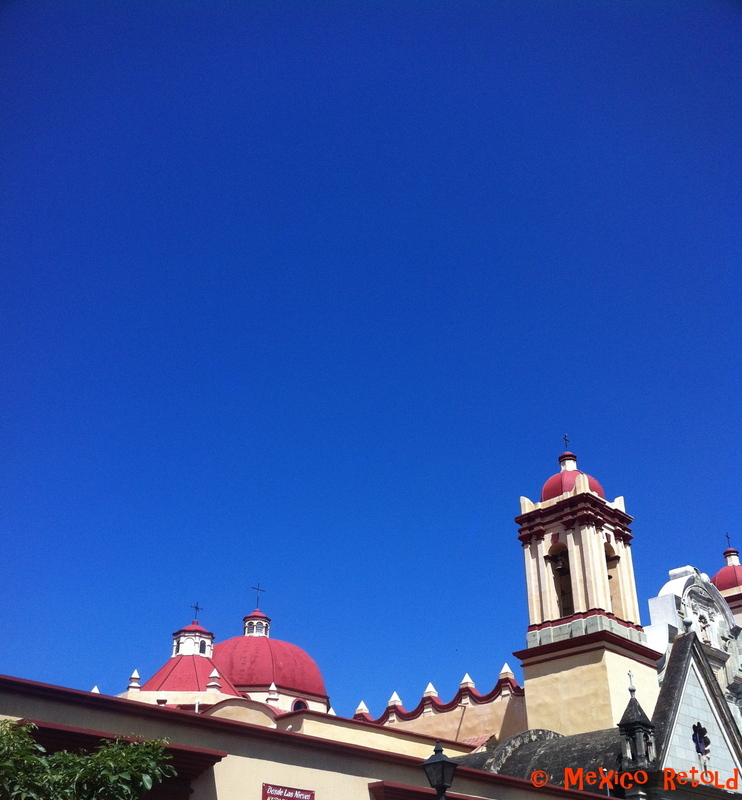 There are also others days when the sky in the most intense wonderful blue without a cloud to be found! Oh and the moon even made an appearance! Every walk I go on, someone (more accurately some MAN) seems to think it is important to remind me of my gender and colour by randomly shouting “Güera” (literally, white girl) at me from their car as they drive past. I never quite know what they hope to achieve. Perhaps they think I will be so enchanted by their knowledge or observational skills that I will jump in their car and drive off with them into the sunset? The sunset is more beautiful than a picture of a heckling man. Ok seriously Mr Taxi driver why do you single me out as the person who MUST need a taxi when I am out for a walk? Do foreigners in Mexico not walk anywhere? Apart from the numerous little toots of their horns that they give me as they drive past, today a taxi driver was so sure that I really wanted a taxi as I walked along happily, that he beeped once quietly, then once very loudly and then leaned out of his car, waving his arms at me. There were about ten other people walking along but nope, just you güera, you NEED a taxi right? Well I say, where are you Mr Taxi driver when I actually do NEED a cab, huh? 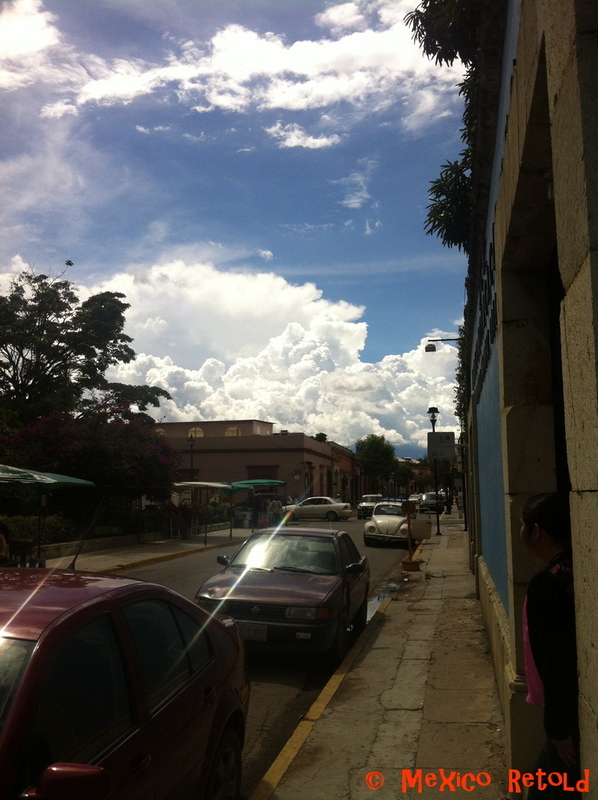 Another beautiful Oaxacan sky as I wait for a non-existent taxi! It should never be a question. Why do drivers here never indicate that they are going to turn. I don’t understand why a tiny little hand movement, that essentially flicks a lever up or down, is so hard. It wasn’t until moving to Oaxaca that I realised there is no universal hand single for put your indicators on. The other day I made a signal at a non-indicating driver that looked like I was telling him he was talking too much…not quite the message I was trying to get across and he rightly looked very confused! Cars probably not indicating…and amazing clouds! When you go for a wander in Oaxaca, always be prepared for a surprise. 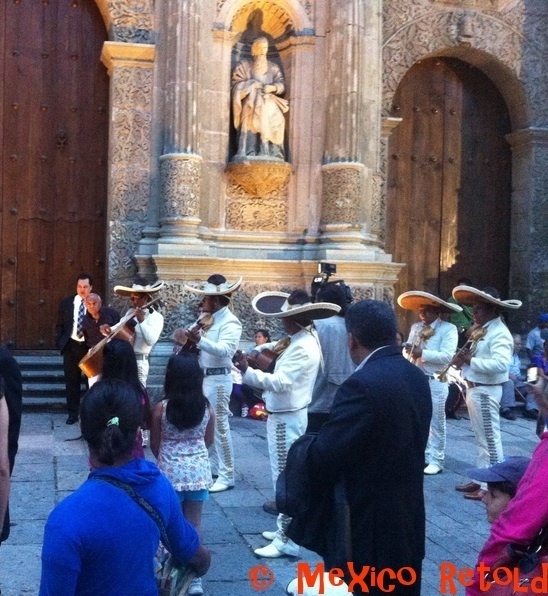 Suddenly you could become part of a passing parade, or you might come across a fantastic piece of street art that appeared overnight or you might be lured by the sound of Mariachis singing to a girl for the 15th birthday in the zocalo. That is the joy of Oaxaca, you just never know what fun might be round the corner! One more picture of the sky…just because! I always enjoy reading your posts. 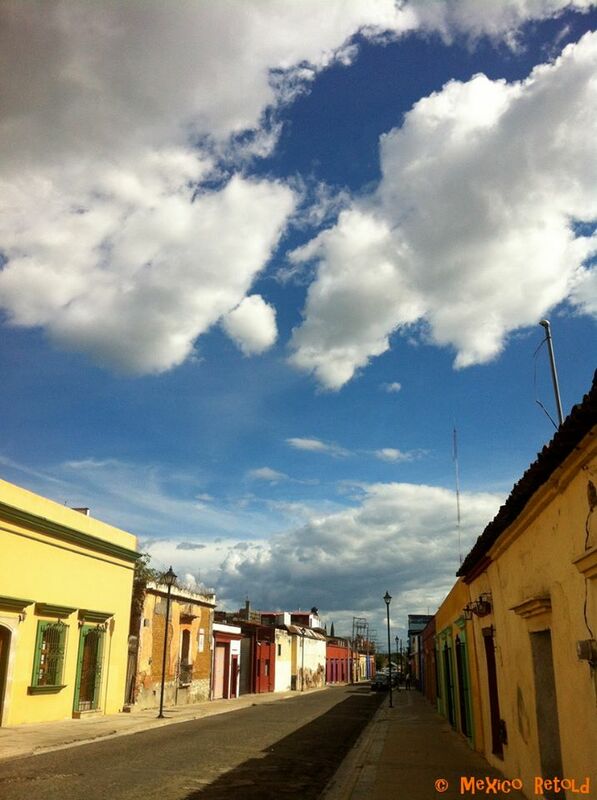 You really capture Oaxaca. I first traveled there in 1986 and knew it would be my home someday. I will be moving there within the year. Meanwhile keep up your great posts! Thanks Richard! Always lovely to hear from other Oaxaca lovers! Living here is fantastic, you will love it! I always tell visitors, that the safest place to cross a street is in the middle of the block. At least there, you have half a chance to see a vehicle coming! Haha good idea! Or as my friend suggested, wait for a big bus to turn and block all oncoming traffic! I wonder what you might learn if you watch a lot of drivers turning without using turn indicators. Mexicans are smart and energetic — they can use a turn indicator if they want to. For some reason, they often don’t. Could there be a driving convention they follow, or some other cultural reason for this? We Americans think of using turn indicators as a safety matter, and we accept without questioning that safety is the most important concern anyone could have. Is it possible that Mexicans think differently? For me, I kind of like that some people think differently. And although I’ve lived in Oaxaca for many months, I don’t feel unsafe in the streets. Interesting comment David. I think it’s about courtesy to other drivers and to pedestrians. There isn’t much of a pedestrian or bike culture in Oaxaca and that is something that frustrates me as a pedestrian and friends of mine who are cyclists and in fact I would love them to pedestrianise the centre. I am by no means implying that Mexican’s aren’t smart or energetic I just think it is a driving norm not to use indicators so much here and I can’t imagine there is a reason for it that would placate me as a pedestrian. There is also a culture of driving using mobile phones and there is nothing that will convince me that that is ok. If it were the same in the UK, where I am from I would feel the same frustration. 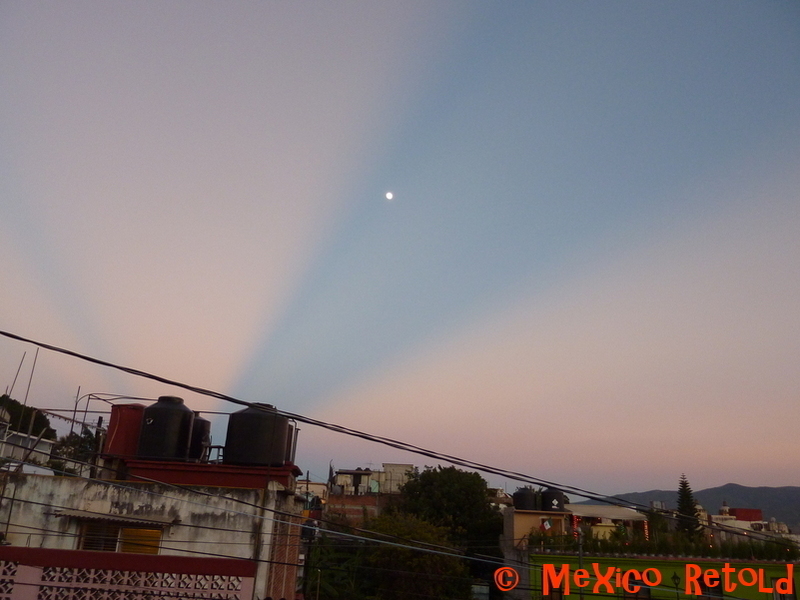 It’s funny, I spend a lot of time in Mexico City and I always known when we are crossing back into Oaxaca state on the bus because of the skies! They are something magical! Love your blog too, will keep checking back to read more! Have a super weekend! I know this is years later but there seem to be few articles on the net about this phenomenon…I am absolutely SICK of men screaming “guera” or “guerita” at me in the streets (sometimes they mutter it quietly so only I can hear it, I guess that’s an improvement, huh?). They’ll also randomly say this to me in passing in the grocery store, or sometimes a strange man I’m talking to will say it as if it were my name (instead of, you know, just asking me my name, or calling me “tu”). Women NEVER do this. It is a form of sexual harassment. I don’t mind if it’s someone I know, who uses it affectionately (usually it’s “guerita” then), nor do I mind if someone uses it as a descriptor (“that white girl over there”) but there is NO excuse for men constantly saying it/yelling it. Not only is it incredibly dumb (I’m white? Really? Thanks for telling me! ), and, IMO, a form of racism, whatever people might say about cultural relativism (I hope they don’t yell the equivalent at black people), but it’s definitely sexual harassment as it comes exclusively from men (often accompanied by a leer), and I think it has something to with some sort of weird white skin fetish, too. I hate it. 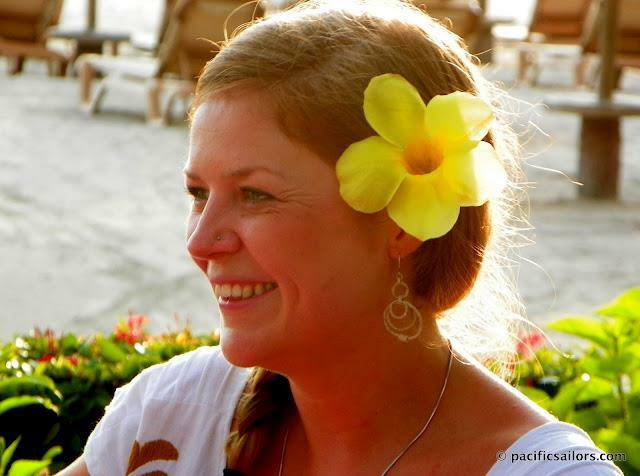 I live on the coast of Oaxaca, and of all the things I’m not going to miss when I leave–bugs, no AC, no fridge or stove (as they don’t usually come with furnished apartments and I don’t want to buy them), my skin erupting in strange tropical rashes–that has got to be the worst. Sometimes I think I will just have to smack the next man who yells that at me obnoxiously. Or else go up to him and say, “Yes? And what’s your point? WHAT’S YOUR POINT?? ?” Like all catcalling, it is designed to irritate. It’s not a mating strategy, it’s harassment, and it’s supposed to be obnoxious. Ugh.